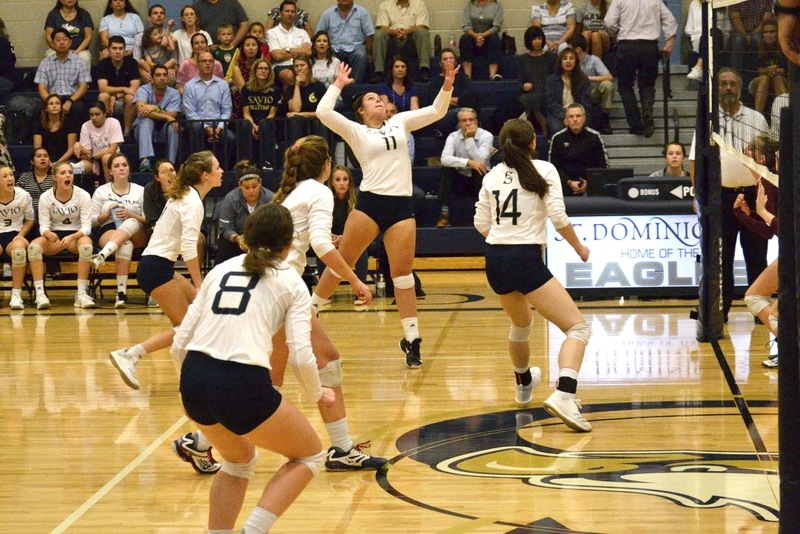 Tonight, the Savio Volleyball Junior Varsity and Varsity teams will begin district play against Antonian College Preparatory High School. Come, cheer on the Eagles, to kick-off the first week of Districts! 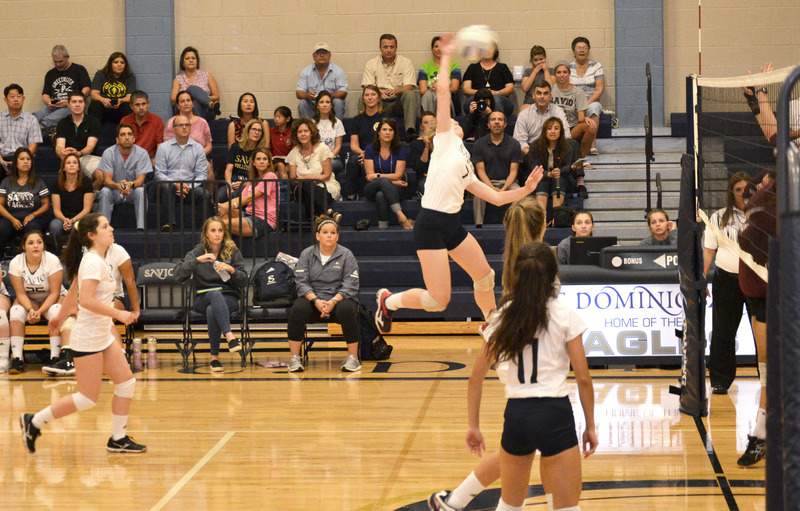 The JV team will play at 5:00 PM and Varsity at 6:00 PM tonight in the Savio Gym. 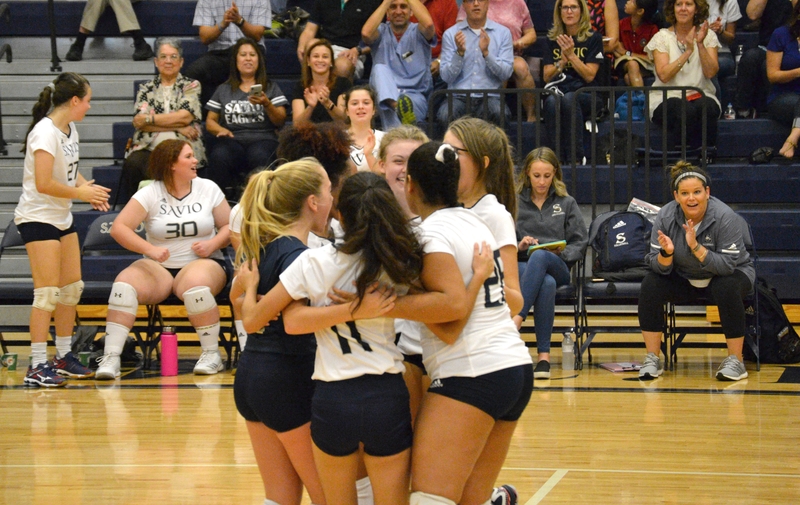 Congratulations to the Savio Junior Varsity Volleyball Team, who are currently undefeated! 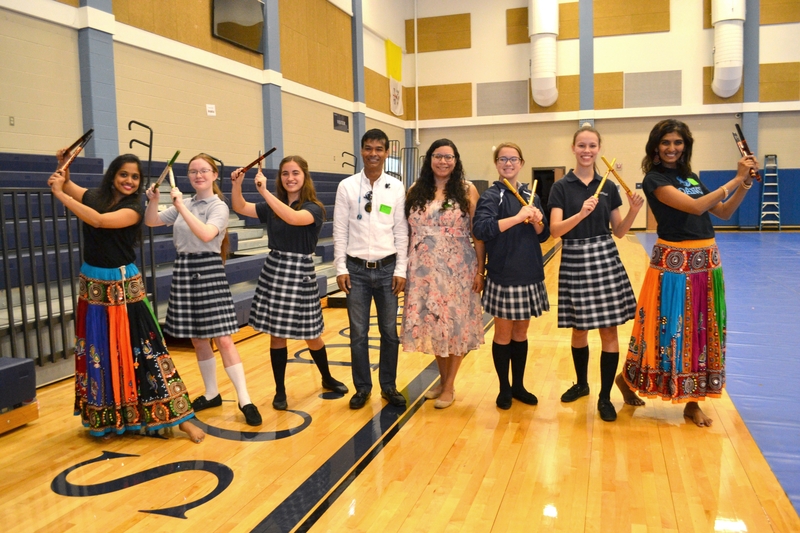 This week, freshman focused on learning two dance forms from the Northwest region of India: Garba and Dandia. Garba is a dance combination of claps and turns typically performed in a circle of people dancing together to drum beats. 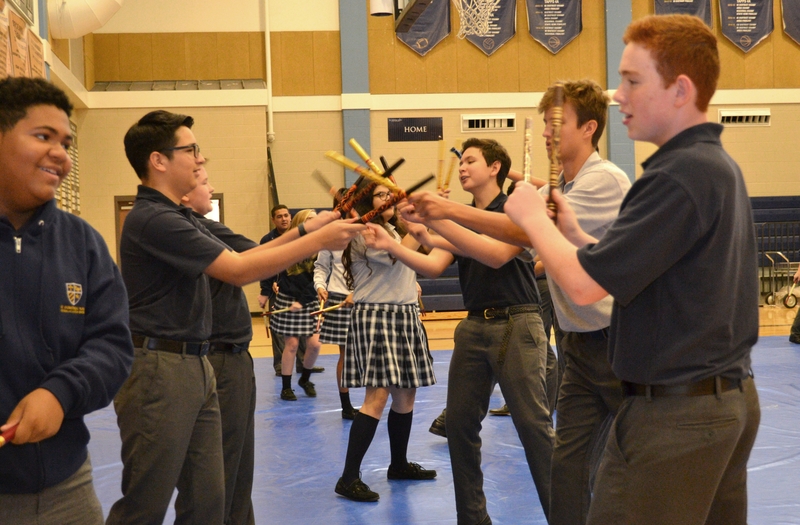 Dandia is a dance using sticks, that typically is performed in pairs or in circle formations. These two dance forms are performed year-round for wedding and other celebrations, however the greatest number of people come together to dance these dance forms during the festival of Navratra. 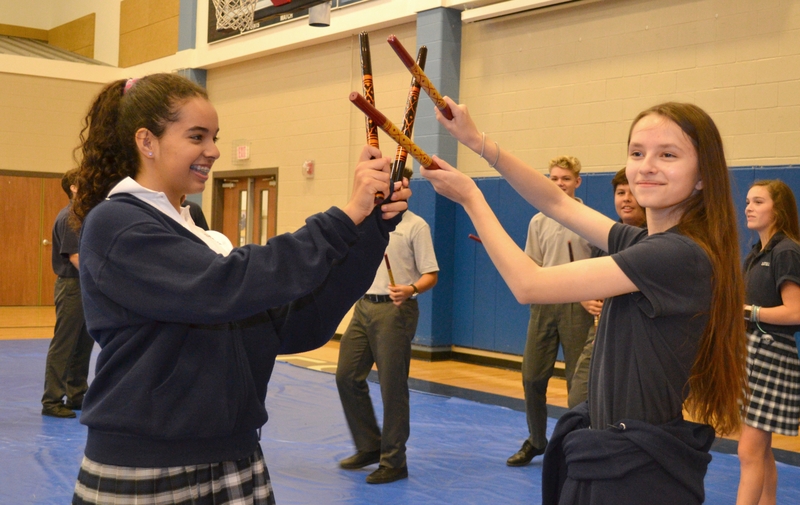 This was an impactful cultural learning experience for our freshman students! Thank you to the Monsoon Dance Company and Sankara Eye Foundation for assisting with the workshop instruction, while bringing awarness to the work of both organizations. 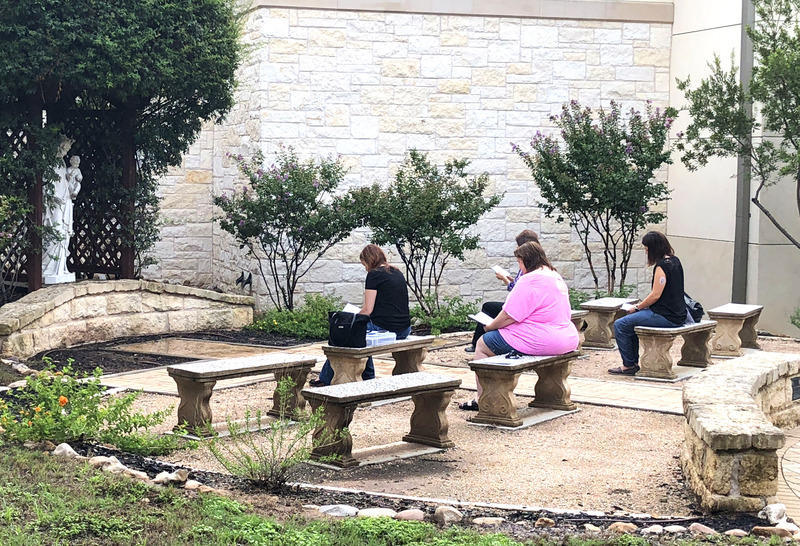 This year, a team of parents is praying the rosary every day in the Savio Chapel at 8:30 AM. They are praying for the needs and intentions of our community and especially for three - four specific students each day by name. The schedule of students that are being prayed for each week can be found on the list here. We will begin with freshman, moving alphabetically through each class. The goal is that all students and their prayers will be included in the prayer group each week. All parents are available to join us at your child’s scheduled date or any other day! 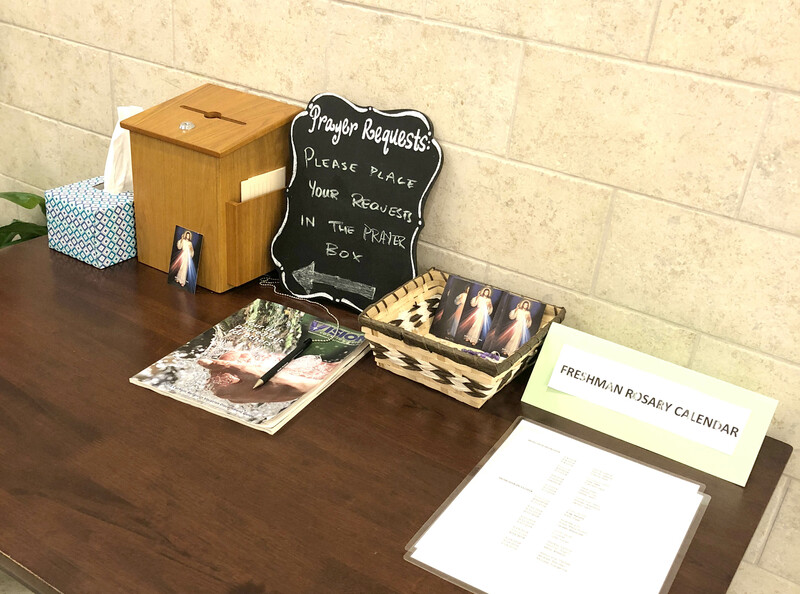 Students are invited to drop off any prayer requests in the wooden box, next to the chapel, to be included in the morning prayer. All parents are invited to join in this wonderful ministry! Please come any morning or contact Tish Rudwick, Sandra Jones (sandraxjones@aol.com), or Becky Snyder for more information. 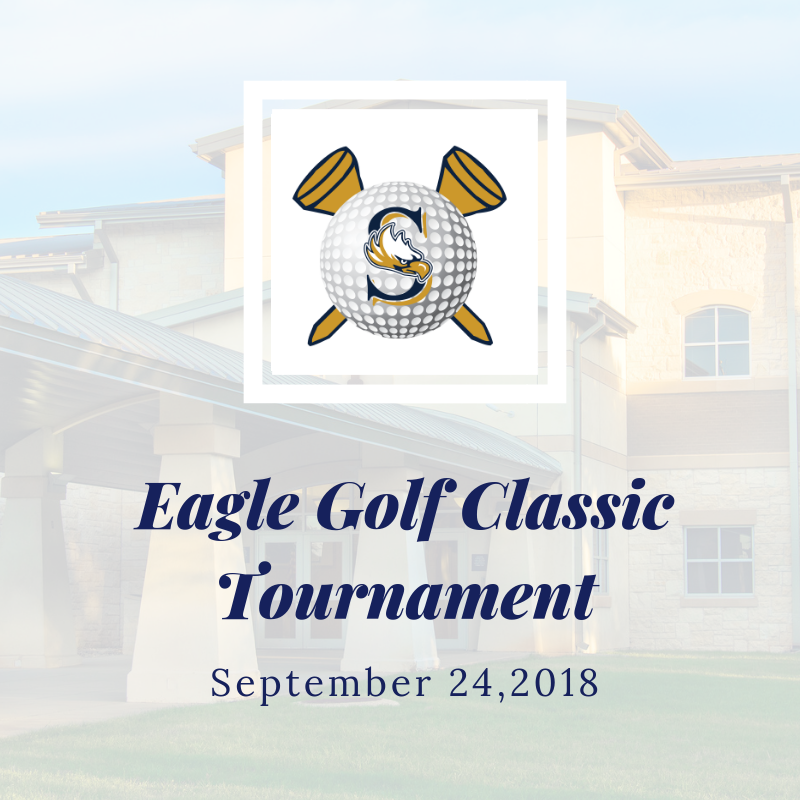 Don’t miss your chance to play in Booster Club’s largest fundraiser – the annual Eagle Golf Classic Tournament on September 24 at Crystal Falls Golf Course (3400 Crystal Falls Pkwy - Leander, TX 78641) with an 8:30 am shotgun start. There will be prizes and fabulous gift baskets that will be raffled off. More sponsors are needed and more importantly, golfers! Please register today to play, sponsor the tournament, or buy your raffle tickets! You may Pay Online or Print the Registration Form and pay through your FACTS account, a check, or cash! 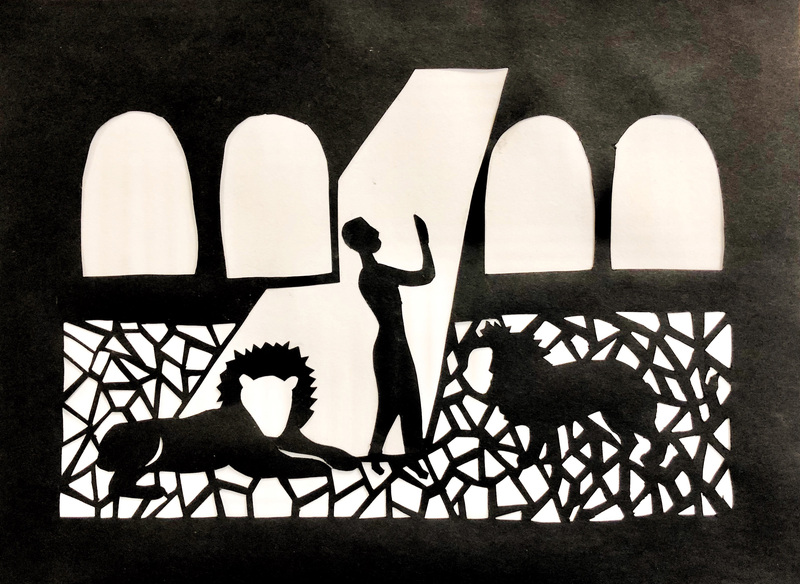 During the first two weeks of Art I, Savio students were introduced to Beatrice Coron - a French artist who specializes in paper cut stories. 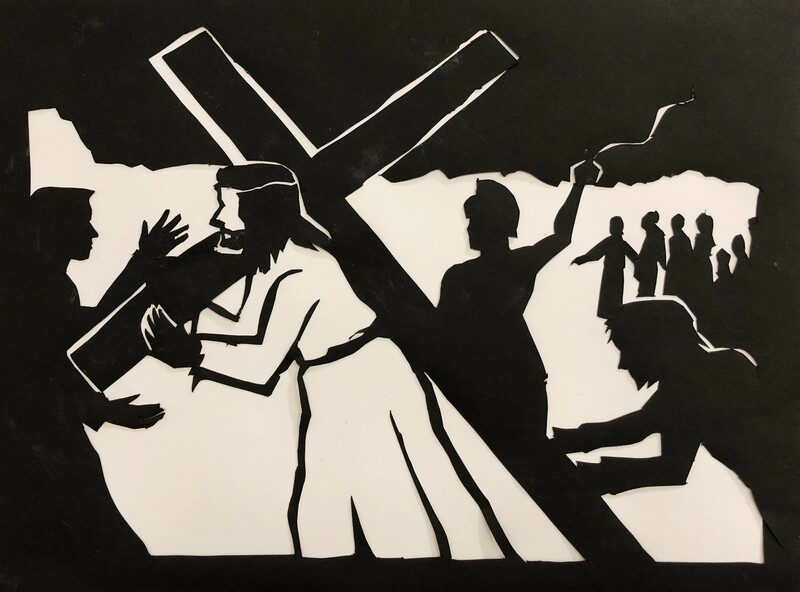 After watching her TED Talk and learning more about her work, the students were asked to choose a favorite bible story and illustrate it in a single silhouette image. Students learned about drawing, how to create a work of art in a positive and negative space, and how to properly use X-acto knives. 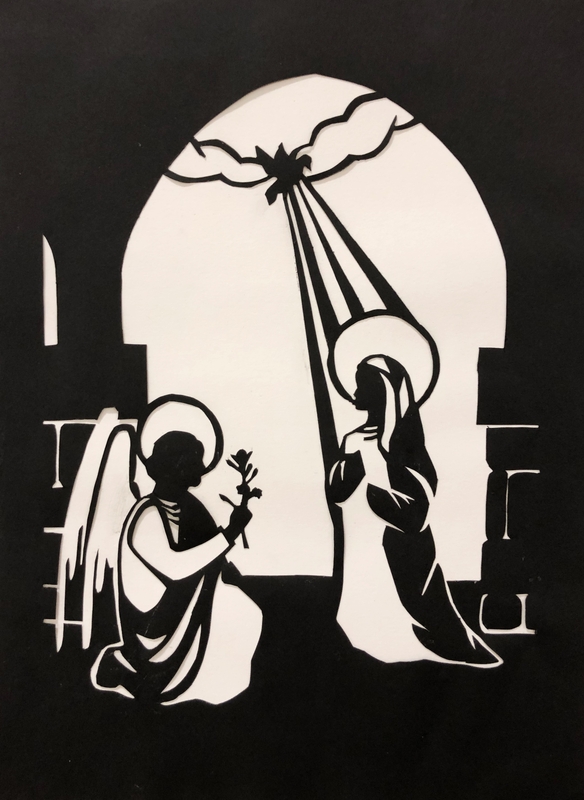 The final works of art resulted in pieces where the negative space was removed and everything else in the image remained connected to the original edge of the paper. The works of art are facinating to observe! 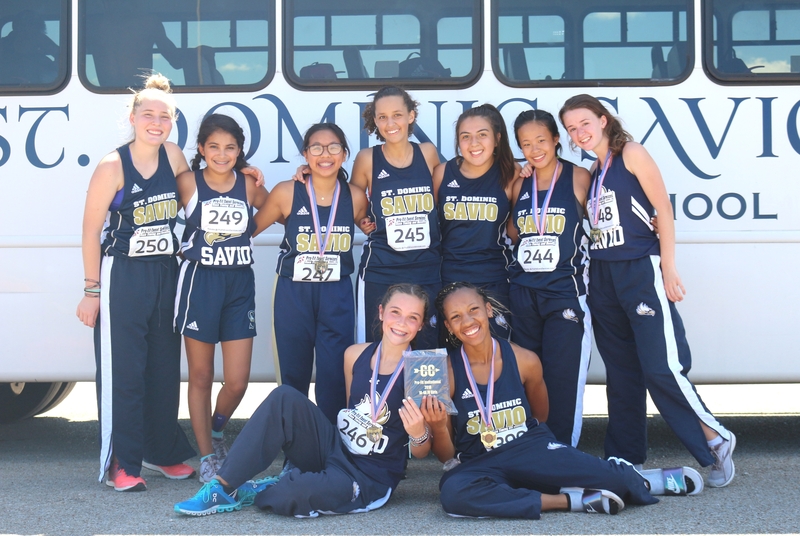 On Friday, August 31, Savio competed in the Pro-Fit Cross Country Invitational meet. 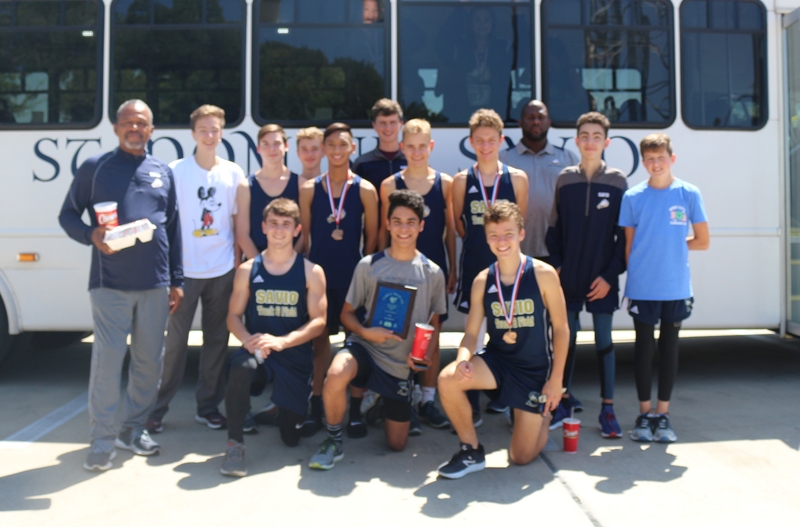 The girls JV team received first place overall and the JV boys received third place overall. The individual placements were Regan Marshall - 2nd place, Ellee Bartholomew - 5th place, Amy Nguyen - 6th place, Amy Gallagher - 9th place, and Abigail Staebel - 13th place. On the JV boys team, Caleb Simmons received 4th place.